Really good snorkel. The feature that I like the most is its stability during swimming. The snorkel doesn't move from side to side, great for technique work! A: We make our Snorkel in Junior and adult sizes. Q: Where can I find information about the proper way to swim with the ULTRALITE SNORKEL 2.0 and in particular how to purge. 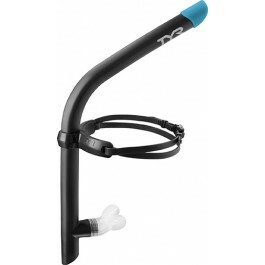 A: The snorkel is used for swimmers to improve their head position and to focus on technique without having to move the head to breathe. Usually when a swimmer moves their head to breathe in freestyle or breaststroke the body position changes or the arms get dis aligned. I've bullet pointed below a few areas where a snorkel would come into play. 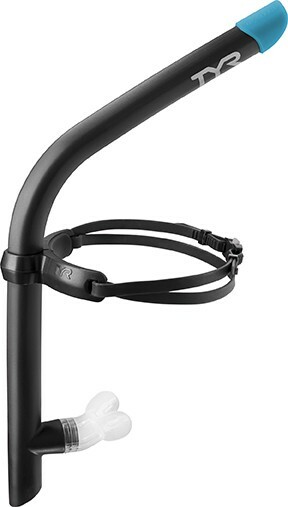 The snorkel front mount is placed in the middle of the forehead and the straps are pulled over the back of the head like you would put on a regular pair of goggles. The tube needs to be in the middle of the face pointing straight up towards the sky. If the snorkel is at an angle then it is more likely to fall off when swimming. Q: Bought snorkel, it did not have a mouthpiece. can you send me one??? A: Thank you for contacting TYR Sport! We are always eager to answer any questions you have about our company. Please email our Customer Service department with a proof of purchase, and your mailing address. 1/ Is the 2.0 longer? I found that the tube is too short and come approximately 2" off the water when my neck line is by the water surface. When i'm swimming, my head position is relax and looking down. 2/ If the 2.0 tube is not longer, can i order a factory reject in order to elongate the current one i have. The 2.0 Snorkel is about 1/2 inch shorter then the 1.0. Unfortunately we no longer have the old one in stock. 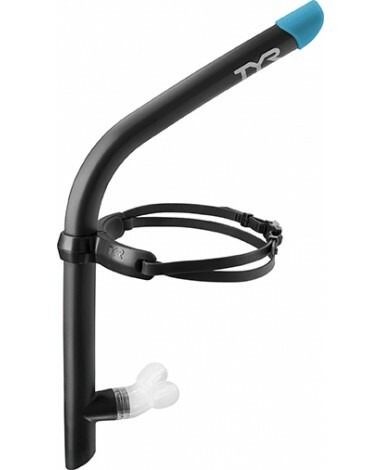 Take your swim training to the next level with the TYR Ultralite Snorkel 2.0. With Durafit Silicone padding, every Ultralite Snorkel allows for a comfortable fit, and maintains its shape over time. At only 175g, this Snorkel has a lightweight and durable construction.